The travel industry never seems to be out of demand. People always want to travel, with millions upon millions of families vacationing every year. 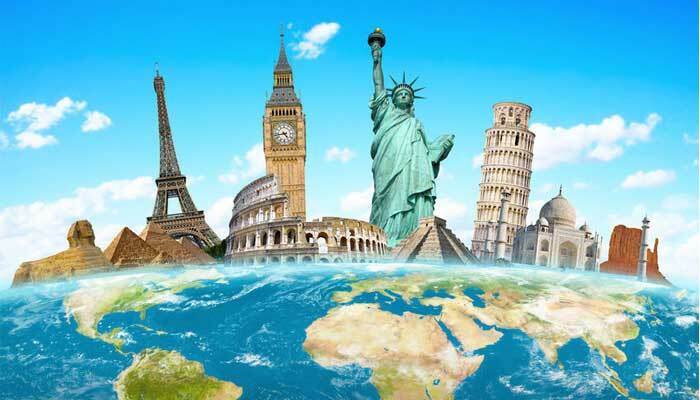 However, travel isn’t always cheap, and many consumers spend a great deal of time browsing travel agencies and websites looking for the best deals. If you own a travel business, apply for one of Instabill’s travel merchant accounts to find fast and reliable credit card processing solutions. If you’re ready to start the application process for your merchant account, Instabill is here to help. Simply click the button above to get started. If you have additional questions about our merchant accounts or other services we offer, either keep reading or visit our Contact Us page to get in touch with a live representative. With Instabill merchant accounts, you can accept payments in multiple currencies. Depending on your qualifications and business details, you may have the ability to receive payments from credit cards all over the world. Approved merchants can accept US dollars, British pounds, euros and more. At Instabill, we pride ourselves on being able to work with as many merchants as possible. Our wide range of offshore acquiring bank partners allows us to work with many high risk merchants and deliver them similarly great credit card processing solutions as low and medium risk merchants. To learn more, visit our High Risk Merchant Accounts page. Payment gateway integration can be a confusing and highly technical process. With Instabill, your acquiring banking partner will connect your website with its secure payment gateway, after which you can begin accepting credit card payments online. Instabill provides reliable, cost-effective merchant services that help e-commerce, retail and MOTO businesses succeed and thrive. In 2001, Founder and CEO Jason Field established the company to assist merchants in obtaining high risk and offshore credit card processing solutions. Today, Instabill is one of the industry’s leading high risk merchant account providers worldwide.